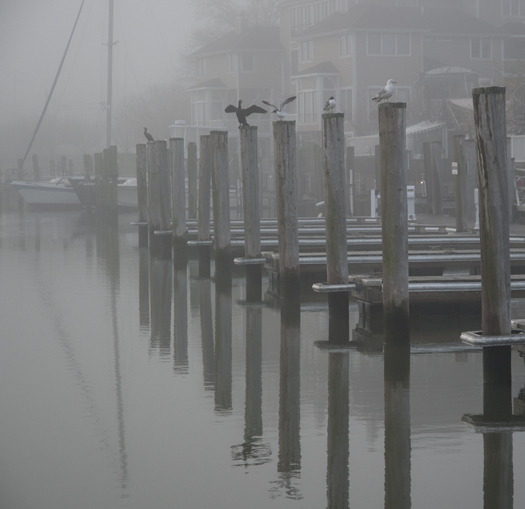 Fog was settled in at Lewes harbor this morning. Gulls and cormorants lazed around on pilings seemingly waiting for the sun. I liked the many lines that popped out in the fog and on the water. 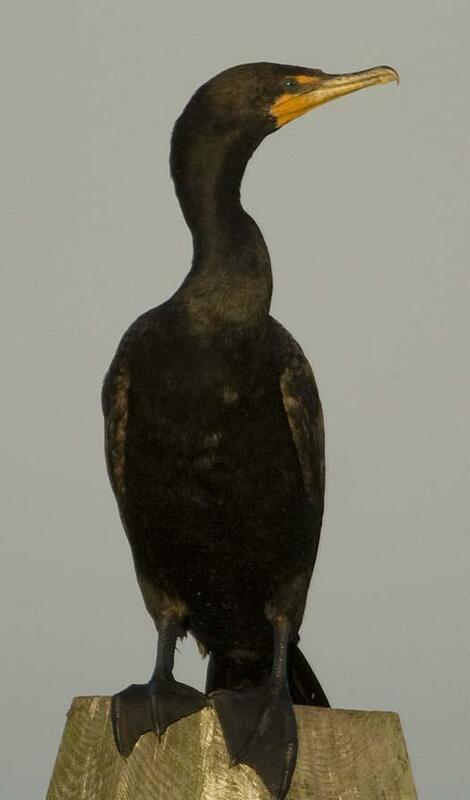 Perhaps the Paul Newman of the bird world, Doublu-crested Cormornats have distintive blue eyes. I like the way this guy’s neck twisted as it scanned the water. 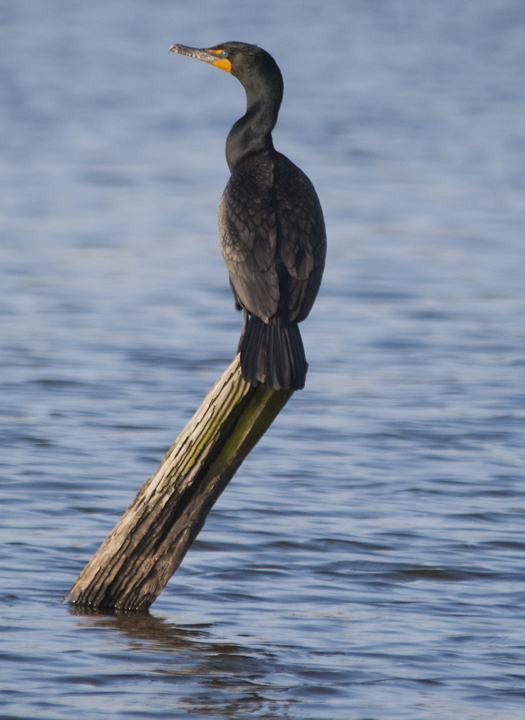 There was a nice lineup of Double -crested Cormorants sitting on pilings at sunset the other night. 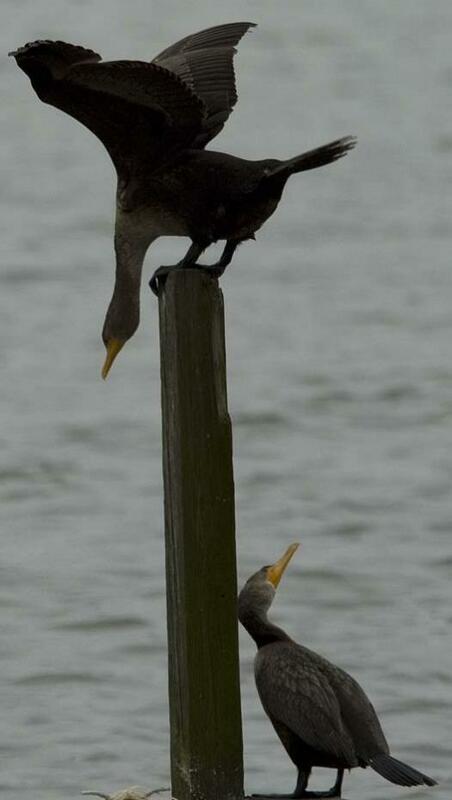 All was well and good until one took it upon its self to try to start a game of musical pilings. 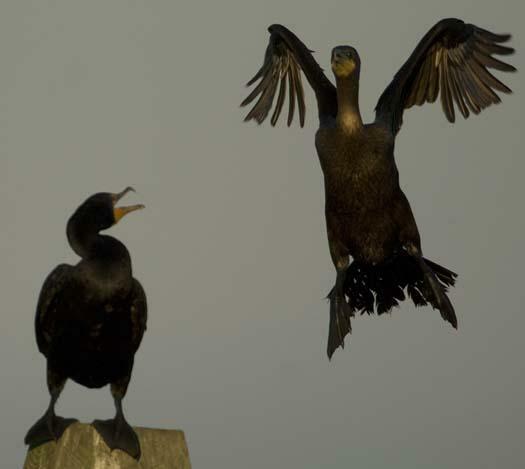 The one I was shooting held its ground despite the scary wing waving tactics of the intruder. 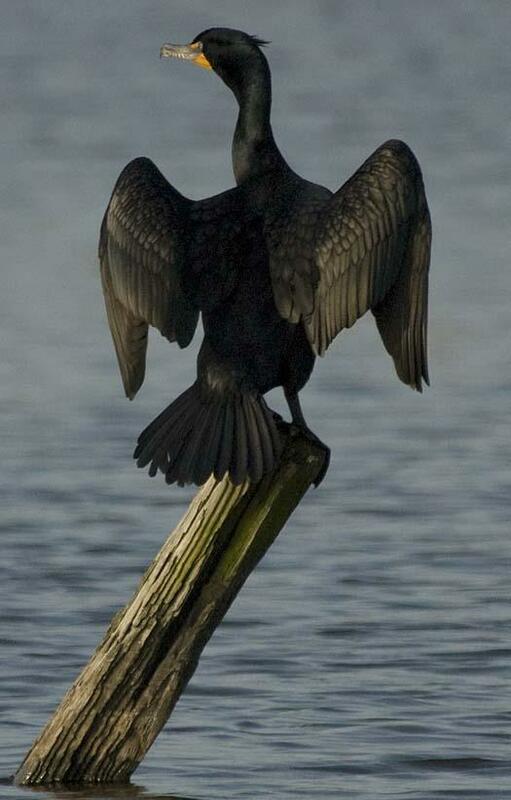 This Double-crested Cormorant took a few minutes in the morning sun to warm his wings and think about where to find the next meal.